One of the most interesting ways to experience trees is to take a "smell walk." The next time you are walking in the woods or in your local park or cemetery, try to focus on the smells around you, especially if the day is warm and humid. As you stroll along, pay careful attention to the constantly shifting palette of odors. The smell of pine and spruce may be obvious, but many tree flowers are broadcasting their presence by creating strong odors. 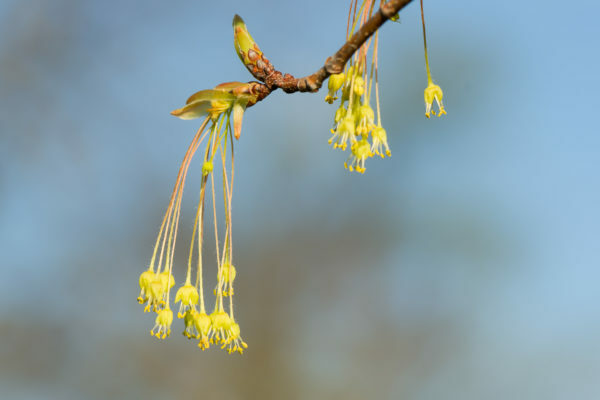 Many trees are flowering right now, and most tree flowers have distinct smells. Hawthorns are almost sickeningly sweet, magnolias smell like my grandmother's house. Often, it is difficult to find the tree making the strongest odors. While the giant flowers of Southern magnolia are easy to find, the smell is fairly subtle. 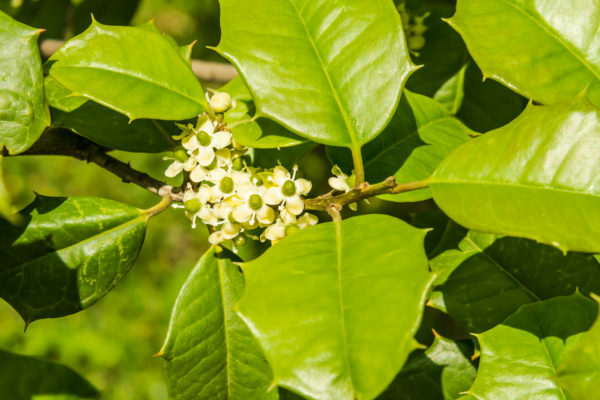 In contrast, the tiny flowers of American holly are easy to ignore, but their strong, sweet odor is hard to miss. As you take your smell walk and observe trees in flower, notice the amazing diversity of insects swarming around the leaves and flowers. Many of these insects are attracted by very specific smells. You will see swarms of tiny flies around holly flowers, while various bees and beetles will be exploring the magnolia flowers. You don't typically see honeybees, Apis mellifera, on most trees, although they seem to like yellow-poplar (tulip trees) flowers. Instead, you will see all manner of native insects that often specialize in a single tree species. Carefully watching a single flower comes with its own rewards. 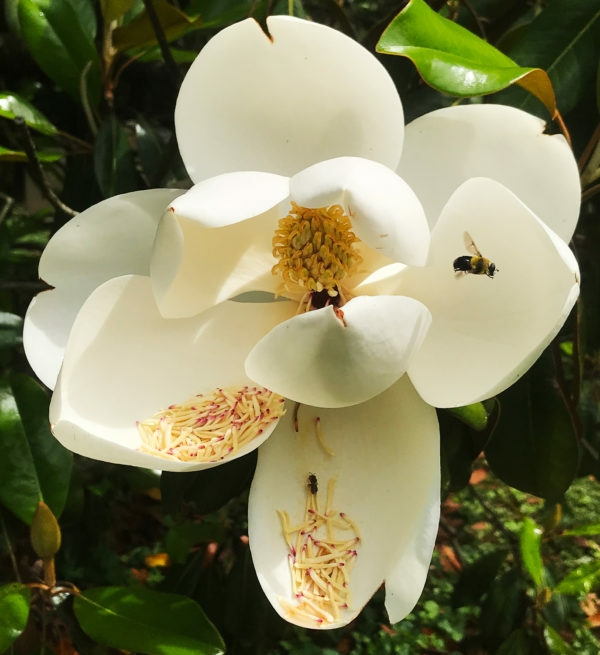 A large flower like magnolia may be visited by dozens of interesting creatures, from bees and beetles to spiders looking for an easy meal. My favorite place for a smell walk is Lexington Cemetery. Cemeteries often have a great diversity of trees, providing rewards for the smell walker. Today, on a muggy, warm day, I could smell rich floral scents from the moment I stepped out of my car. This cemetery is famous for its trees, and makes only scant use of flower beds, so most of the odors are from trees and shrubs. I started my walk assailed by a rich, sweet odor of holly trees, even though I could not see the flowers, which were high up in the canopy. By now, in late May, most of the early flowering trees like yellow-poplar and maples have finished flowering. Many buckeyes (Aesculus spp.) 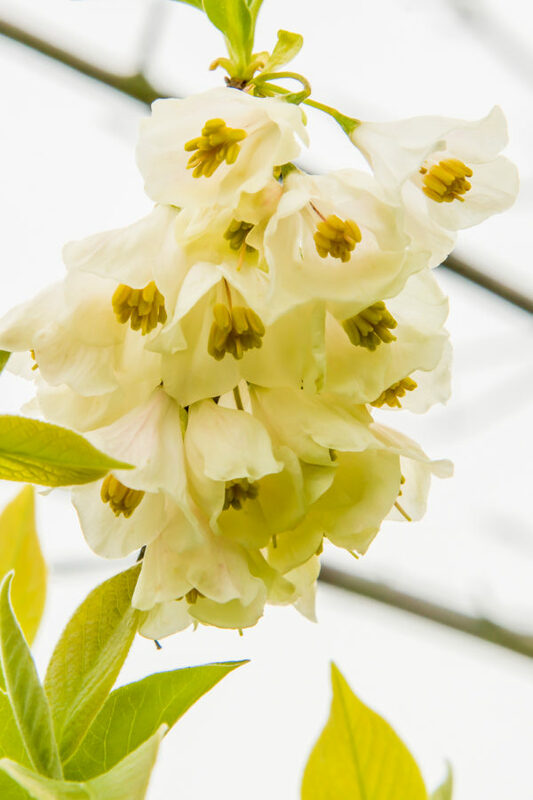 are flowering and are quite fragrant, though the related horsechestnuts don't have much odor. Often, I will spend several minutes trying to track the source of a particular smell, sometimes to no avail. To have a rewarding smell walk, you don't need to know the identity of the trees. Just keep your nose tuned to what is around you, and look for tree flowers. Then, take the time to observe the wonderful diversity of creatures visiting the flowers. Posted in News, Tree Biology.